Leroy Sane claimed an early opening goal before further efforts from David Silva and Raheem Sterling maintained City's unbeaten start to the campaign in effortless fashion. 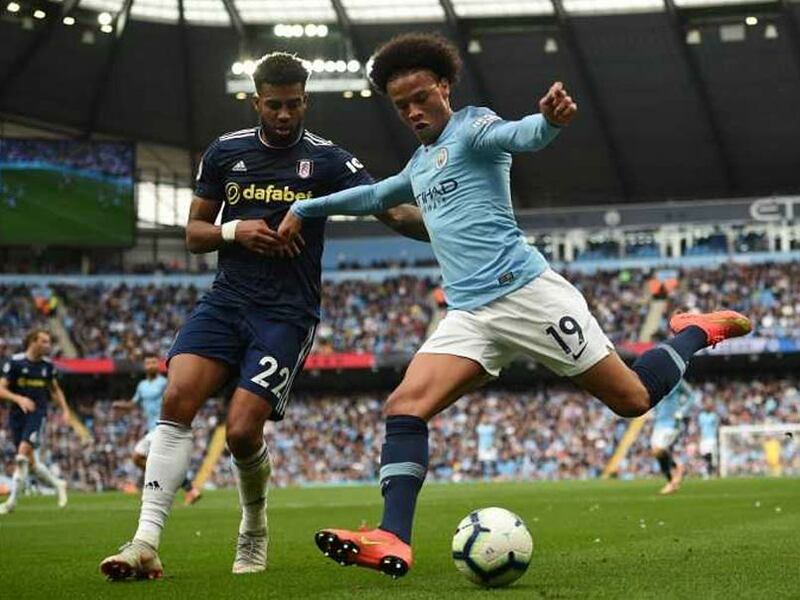 Leroy Sane handed his first Manchester City start of the season, underlined the strength in depth Pep Guardiola has at his disposal during the Premier League champions' comfortable 3-0 win over Fulham at the Etihad on Saturday. The German international claimed an early opening goal before further efforts from David Silva and Raheem Sterling maintained City's unbeaten start to the campaign in effortless fashion. Fabian Delph, who had won seven England caps since his last first-team action for City in May, was also handed a place in Guardiola's starting XI, just three days after national team manager Gareth Southgate had expressed his concern that some of his players are suffering from a lack of regular competitive football. And, while Guardiola will have little interest in Southgate's problems, his ability to rotate his squad with such high-quality replacements augurs well, with City about to embark on Champions League and League Cup campaigns in addition to their league commitments. For City's prospects of adding to the two trophies, they won last season, a return to form by Sane, who had been left on the bench by Guardiola for the opening month of the campaign, could prove hugely significant. 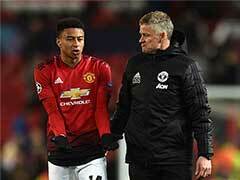 Last season's PFA Young Player of the Year had endured a trying four months in which he was also omitted from Germany's World Cup squad. 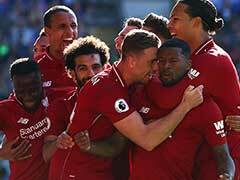 Liverpool's impressive lunchtime victory at Tottenham had placed some element of added pressure on the defending champions but it took City fewer than 100 seconds to take the lead. Fulham were architects of their own downfall, however, as Marcus Bettinelli's clearance to Jean Michael Seri resulted in an under-hit pass which Fernandinho stole from intended receiver Denis Odoi. The Brazilian strode forward into the Fulham area and timed his cross perfectly, beating Bettinelli's dive and playing in Sane who tapped the ball in from six yards. 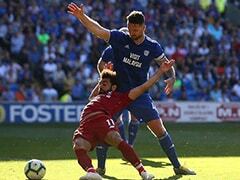 It was the start of a dominant afternoon from City and a trying one for a Fulham defence without a clean sheet and with nine goals against them in their opening four league games. A superb piece of midfield skill from Bernardo Silva played Sterling clean through on goal only for the England international to strike the crossbar. But Fulham bowed to the inevitable in the 21st minute after more outstanding play from Bernardo who held off Stefan Johansen's strong challenge and pulled the ball back for Sergio Aguero whose effort was blocked by Odoi. The ball fell kindly for David Silva who controlled it high on his chest -- prompting Fulham claims for handball -- before burying it in the roof of the net from close range. Fulham, whose attacking play showed moments of promise, finally forced Ederson into a couple of saves from shots by Andre Schurrle. There was still time for Sane to put the ball in the net, only for the 'goal' to be ruled out for offside, but City needed just 97 seconds of the second half to score again. Sterling broke from deep in his own half with a strong, skilful manoeuvre before David Silva's superb cross-field ball found Aguero on the right. The Argentinian selflessly drove into the area before drilling the ball across an open goal-line where Sterling converted. Bernardo Silva had a goalbound shot deflected behind soon after, while substitute Gabriel Jesus saw a near-post effort well saved by Bettinelli as City threatened a rout. Fernandinho and Sterling also came close from long-range shots while the entire second half passed without Ederson being troubled in the home goal until injury-time when he dived to deny Aleksandar Mitrovic's shot.